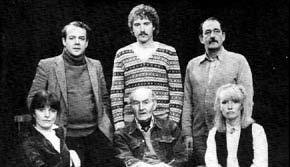 "Harold Pinter directs with telling economy, moving the various pieces of the action along at a smart clip. Nothing drags for a moment." Douglas Orgill, The Daily Express, 9 December 1981. "Harold Pinter's production is the pursuit of small comic moments." Irving Wardle, The Times, 9 December 1981.